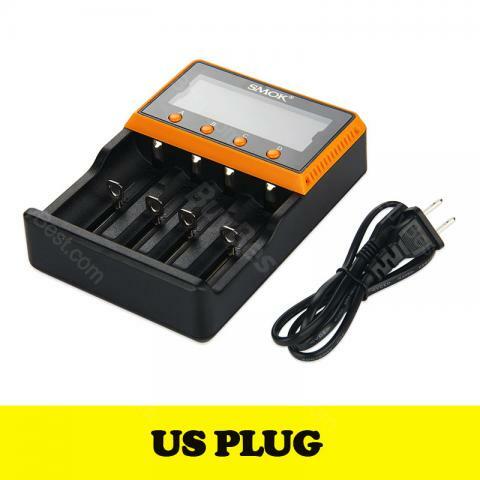 With this Smok Intelligent 4-Slot Charger, you will see how much your mod has been charged from the LED screen clearly. In addition, both Euro Plug and US Plug are available. Just get this portable charger to bring convenient charging. Delivery is fast, packed relatively reliable-a layer of pouches and a postal package. Seems to charge. There is a choice of charge current 0.5 a or 1 a. While i recommend. Let's see how it will work.